My journey into the radio world began back in 1998 when I became a volunteer for the short lived RSL station in Rhyl called Shore FM. It wasn’t until 10 years later in 2008, when studying Music Technology at Coleg Harlech, a 6 week module on Radio Studies re-ignited my love for radio. Ever since I small child I have always been fascinated in radio, how it works and how a voice in a box shrouds so much mystery. After completing college with a distinction I moved on to university to study Sound Technology in Cardiff, which ended very early after only one year … it wasn’t for me. On my arrival back to North Wales in 2010 I noticed there was a new radio station broadcasting called Point FM, it wasn’t long after many emails try to persuading the station director to take me on that I was on the air, first thing on a Saturday morning to be exact. From here I learnt what community radio was all about, for me a completely blank canvas to work with, enough time to be creative … sadly that wasn’t enough and was quickly drafted in my chance to fill in the afternoon gap, 15 hours of radio a week! 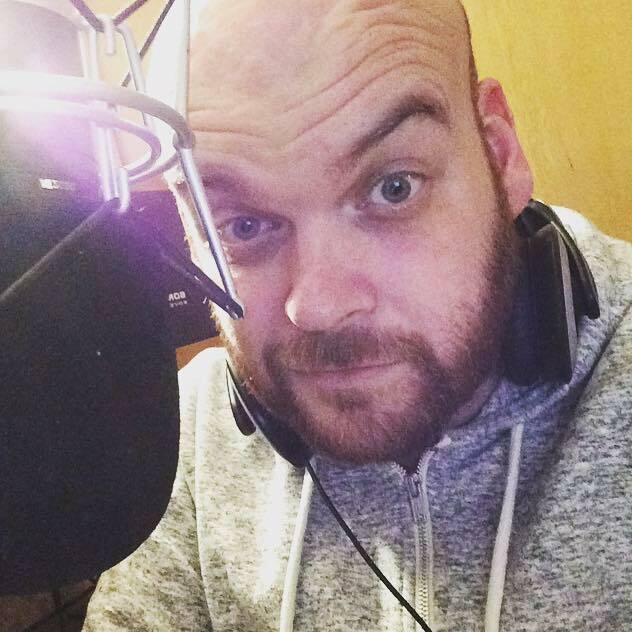 THE BIGGEST AFTERNOON RADIO SHOW ON THE NORTH WALES COAST … APPARENTLY? For the next 7 years I built a rather large following and listenership on Point FM 103.1, mixing the serious with the funny side of life, keeping people sucked in with radio games and interviewing 100s of people from local actors, singers to UK TV and music star, Formula One drivers and Gladiators … and not forget the legendary Sir Ken Dodd, twice, to name a few. The show used to take 100s of texts a week thanks to the fabulous and loyal audience. Also a quick thanks to the Daily Post (a North Wales regional newspaper) for misquoting me and naming the show as the “BIGGEST AFTERNOON RADIO SHOW ON THE NORTH WALES COAST”. In the autumn of 2016 I collected 2 awards from the newly established Community Radio Awards in Birmingham, UK after entering earlier in the year, I won GOLD for The Best Entertainment Show and Silver for Best Male Presenter, a feat I am immensely proud of to this day. The show went on from strength to strength until Point FM 103.1 came to an end in 2017. Since then I’ve been keeping myself busy doing voiceover work, DJing at various private parties and strangely found myself in front of a camera recording video logs or “vlog” of days out in North Wales for familes called the BIG North Wales Adventure on YouTube. In March 2018 I joined Sound Radio Wales, a brand new radio and podcast station for the North Wales where I am a director and presenter, the future is very exciting.